The Javelin Advanced Anti-tank Weapon System-Medium (AAWS-M) is a man-portable fire-and-forget weapon system used against enemy tanks, bunkers, buildings, small boats, and slow-moving helicopters. Also, Javelin is adaptable to many platforms, including tripods, trucks, and light armored vehicles. Special features of Javelin are the choice of top attack or direct fire mode, integrated day/night sight, soft launch permitting fire from enclosures, and the imaging infrared seeker. The Javelin weapon system is produced by the Javelin Joint Venture - owned and operated by Raytheon (Tucson, AZ) and Lockheed Martin (Orlando, FL). Javelin's two major components are a reusable Command Launch Unit (CLU) and the FGM-148 Javelin missile sealed in a disposable launch tube assembly. The CLU's integrated day/night sight provides target engagement capability in adverse weather and countermeasure environments. The CLU can also be used by itself for battlefield surveillance and reconnaissance. Javelin is fielded with no specific test measurement or diagnostic equipment, allowing combat forces to deploy rapidly and unencumbered. Javelin's fire-and-forget guidance mode enables gunners to fire and then immediately take cover which greatly increases survivability. Special features include a selectable top-attack or direct-fire mode (for targets under cover or for use in urban terrain against bunkers and buildings), target lock-on before launch, and a limited back-blast that enables gunners to safely fire from enclosures and covered fighting positions. The Javelin AAWS-M was deployed in 1996 and has been used in Operations Iraqi Freedom and Enduring Freedom. The list of non-U.S. countries that have purchased the Javelin system, includes the Czech Republic, Indonesia, Ireland, Jordan, New Zealand, Norway, Oman and the United Kingdom. 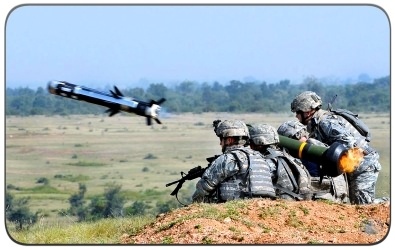 On November 18, 2013, the Javelin Joint Venture received a $176 million contract for the production and delivery of 842 Block I Javelin missile rounds and 120 CLUs. The missiles will be provided through the U.S. government to the U.S. Army, U.S. Marine Corps and three international customers. On December 2, 2014, the Raytheon / Lockheed Martin Javelin Joint Venture announced it had recently delivered the 40,000th FGM-148 Javelin missile to the U.S. Army. Javelin is scheduled to be in the U.S. Army inventory until FY 2050. A 15-year Javelin production forecast is available through Forecast International's Platinum Forecast System, which includes a breakout of total market unit and value statistics by manufacturer and end-user. 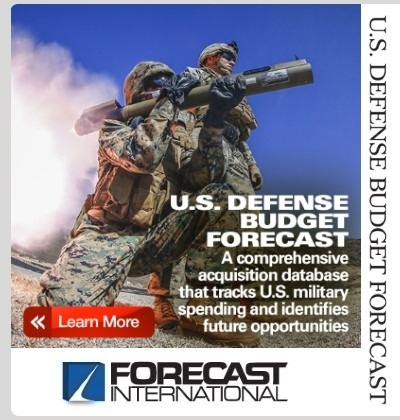 This real-time service also includes information on all prime and subcontractors, contract awards, worldwide missile/launcher inventories, a complete program history, and a rationale detailing the outlook of the program. 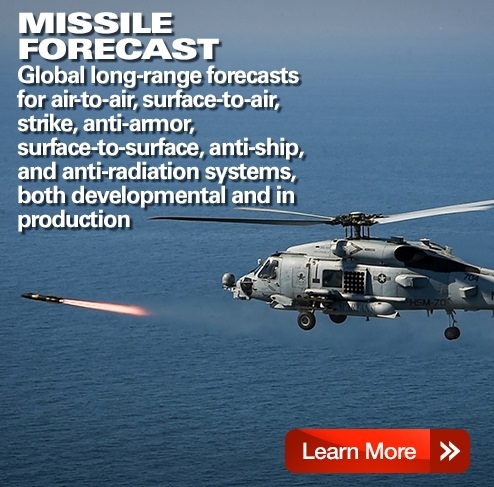 A 10-year Javelin production forecast is also available in report format through Forecast International's Missile Forecast service. To provide a man-portable, highly lethal and survivable, fire-and-forget, anti-tank weapon system to infantry, scouts, and combat engineers.